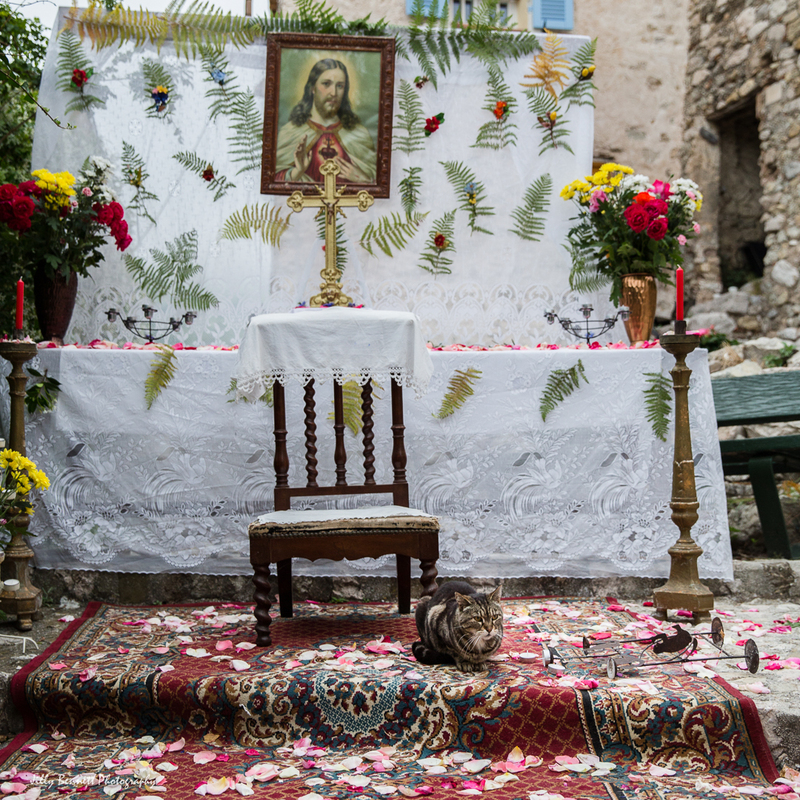 A temporary altar has been created in the square at the top of the village for the Fete des Limaces. Hope the cat will be forgiven for knocking over a candlestick. Un autel temporaire a été installé sur la place en haut du village pour la Fête des Limaces. Espérons que le chat sera pardonné pour avoir renversé un chandelier. From the cat's point of view, all this adulation is for the cat, which of course is the way things really are anyway.